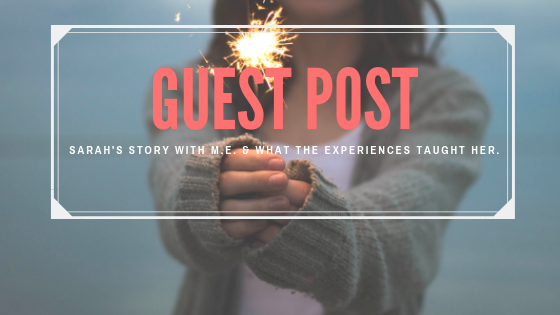 Guest Post: Sarah's story with m.e. & her amazing accomplishments! 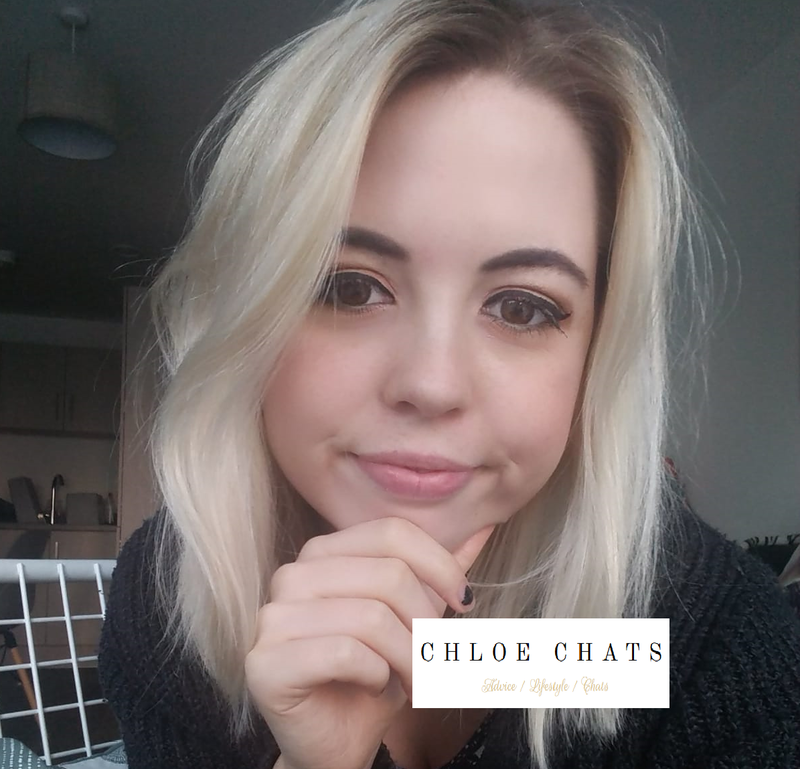 I'm always so happy to welcome others onto my blog to talk about their experiences with illnesses that have sadly stopped them in their tracks and is a very difficult time in someone's life. But, that said, it's always very inspiring to hear the recovery journey and the things that they have accomplished during and after. I’ve always been a perfectionist – high expectations of myself, of others and of life in general. What my experience of life has taught me is that when our plans get de-railed it can actually prompt us to re-evaluate our priorities, alter our way of thinking for the better and appreciate more what we have. In my early 30s I was newly married, enjoying my career as a full-time teacher, happy, healthy and looking forward to starting the family we’d always talked about. Less than a year later, an operation and a series of illnesses resulted in me getting M.E. – a debilitating illness that put our family plans on hold, caused me to need a stick to walk with and to reluctantly give up teaching. I had no concentration or energy, even for reading, listening to the radio or watching TV. I couldn’t tolerate noise, cook, clean or shop. I lost my health, independence, job, financial stability and along with them my sense of self-worth. I went through feelings of anger, frustration, despair and depression. However, when the hospital said there was no cure, I may never recover and would just have to learn to live with the symptoms, I came out fighting! I refused to be beaten & carried on pushing myself, which just resulted in a boom/slump cycle of activity then collapse. I tried to return to teaching part-time, but soon realised that if I was to have any chance of recovering fully then I would need to give this up too. Fortunately, I had a supportive husband who I’d been with for 7 years before this. Our relationship changed from one of being newly- weds to him being more like a carer for me, which was tough for both of us. He was trying to juggle his own job (so one of us was still bringing money in) with all the house responsibilities & looking after me. I didn’t give up hope as I still wasn’t prepared to give up on the life that I’d had or the future I wanted! My husband heard on the radio about a clinic specialising in M.E. At first it sounded too good to be true, but there was nothing to lose in finding out more and potentially everything to gain. The short version is that 3 years into my illness I attended The Lightning Process and made a full recovery! I’d recommend it to anyone! It gave me my health and my life back! I was able to climb a mountain, go back to volleyball aged 39 (and even play in a match! ), return to teaching, and, most importantly for me, start trying for a baby. Aged 36 that didn’t happen straightaway either, which was another massive blow and further strain on us as a couple. When we finally did conceive, 6 weeks in we thought we’d lost our baby. Thankfully, several scans later confirmed that our baby was Ok and we went on to have a healthy baby boy when I was 40. Funnily enough, after all those years of waiting, he arrived four and a half weeks early, less than 3 hours after I left work! I guess he figured we’d waited long enough! ♡ to quit trying to be a perfectionist – it is absolutely Ok to be good enough! Becoming a parent has also resulted in a completely unexpected and very positive outcome for me. I’ve become a published author! My book ‘Baby Daze’ came out in 2018 and has been recommended in ‘Mother & Baby’ magazine’s ‘3 of the best funny reads’ feature. The humorous, sentimental and honest poems about the rollercoaster of parenting a newborn, came to me unexpectedly while up for the 3am feeds! Over a number of weeks I had a collection – ranging from the first scan to the end of maternity leave and hopes for the future. Once my son was at school I decided to take the advice of friends and family and approach publishers with my poems. I tried 7 publishers and got 5 offers! Being a new author, I’ve stepped out of my comfort zone more that I could ever have imagined! I’ve spoken about my experience of breastfeeding and shared my poems with groups of 60 expectant parents at Mothercare events and at Mamas & Papas. I’ve been interviewed live on BBC Radio Leeds, BBC Radio Gloucestershire and Talk Radio Europe! I’ve been featured in on-line and in-print publications. ‘Baby Daze’ is published by The Book Guild and is available from major high street booksellers like Waterstones, independent bookshops and Amazon. For more information and to read the reviews follow the link here: Baby Daze Link. The feedback has been amazing and it’s been lovely to hear that my talks and my book have helped other new mums. My biggest achievement is my son, who, now aged 7, loves having a book inspired by and dedicated to him! He even asked to take it to school for show & tell, even though it’s really for Mums rather than for children – of course he chose to read out the 2 poems about nappies! I hope that one day when he is older he’ll be able to relate much more to the feelings and emotions behind the words and see how much he is loved. At the worst part of my illness I couldn’t read a book or listen to the radio – now I’ve had a book published and been interviewed live on the radio! I hope you all enjoyed reading Sarah's story and that it has inspired you, because it's pretty amazing what Sarah has been through and all the things she has accomplished! We're all pretty amazing, and I believe we can succeed in anything we put our heart and mind too. Let me and Sarah know in the comments below one thing that you have accomplished that you're super proud of! It's so interesting to read about other people's lives. Thanks for sharing Sarah's story. Glad you like it. While its really important to get a good balance & be kind to ourselves I know that deep down I'd still rather be the person who cares a little too much than the person who doesn't care at all. I'm really happy for Sarah that she recovered, but ME is a physical illness and the Lightning Process is a psychological treatment. If it worked for her, I highly doubt she had ME. Not trying to discredit Sarah's story, but there are already so many misconceptions about ME being psychological and I don't want people to think everyone can be cured if they just try harder or something. A lot of people get misdiagnosed with ME because doctors don't know what causes it, so some doctors just use it as a trashcan diagnosis for any unexplained symptoms. But research shows ME is a real, physical disease which cannot be cured by psychological interventions such as the Lightning Process so if it cured you, it is very likely you actually had something else going on. It's not about "not all treatments working for everyone" - the thing is that psychological treatments cannot cure physical illnesses. So if you were cured by a psychological treatment that's honestly great! But it also means you never had ME. Doesn't mean whatever you did have is any less debilitating - but it just was a different illness. ME is already mislabeled as a psychological illness by so many doctors simply because medicine hasn't found a clear cause yet, and it is so hard to fight these misconceptions. The sad truth is stories like these unintentionally hurt ME patients because people will think there's a cure when there isn't. I had a hospital diagnosis from a specialist consultant confirming M.E. The lightning process is not purely psychological - it works for some and not for others like any other treatment or cure. I was diagnosed by a hospital consultant as having M.E. - a physical illness. The Lightning Process is not just a psychological treatment, there is a lot more to it than that, if I could have been cured by positive thinking alone then I would have been cured much sooner as from the beginning I was determined to recover and get my life back! The Lightning Process accepts that ME is a physical illness and works on that premise. There is hope for M.E. sufferers like myself as my story proved. As with any other treatment, however, as Chloe said, not all treatments work for everyone and you are not me. I wish you well if you or someone close to you has M.E. but please don't close your mind to The lightning process or try to discredit it. Sorry to hear you have been ill for so long & I'm glad you found my story helpful. I hope you can find the treatment that's right for you and your illness soon. The clinic I went to also worked with other chronic illnesses. It's so important to not give up hope as medical Science is continually finding new treatments. Wishing you all the best. This is so incredibly inspiring. This may sound silly but I had no idea that ME was something you could randomly just get, I kind of just assumed that those who have it had always had it. I can' even imagine the transition period of Sarah getting used to it, the things that the experience has taught her is great though, I think that everyone should put their health and family first! Sarah sounds like an amazing person. Even though there were events that made her life take a turn, she powered through it and despite the challenges, I am happy that both of them pulled through. Sending Sarah and her family LOTS of love. Everything worked out at the end and I am happy to hear about her husband's immense love and support. Pretty cool that she has a book out as well. Thanks for sharing Sarah's story! It was inspiring reading about Sarah's story, and I'm glad to hear that The Lightning Process has helped her and she has accomplished so much since then! Amazing post and Sarah's achievements are definitely awe-inspiring! I used to have a friend in school who suffered with really bad M.E when we were in primary school and she couldn't come to school for months, it was a really difficult illness. Thank you Jenny. I hope your friend managed to recover too. It was difficult as an adult but it must have been awful for her to lose part of her childhood through it. Such an interesting and inspiring read, Chloe! The line about plans get de-railed and it prompting us to re-evaluate our priorities really resonated with me. It's so true! Thank you so much for sharing Sarah's story, so many great achievements! Thank you for reading my post and glad you found it helpful. This was such an interesting and inspiring story. Thank you for sharing Sarah's story with us Chloe. Thank you - glad you liked my story.